Maggie Germano turned her passion for empowering women in to a side hustle & eventually her full time job. 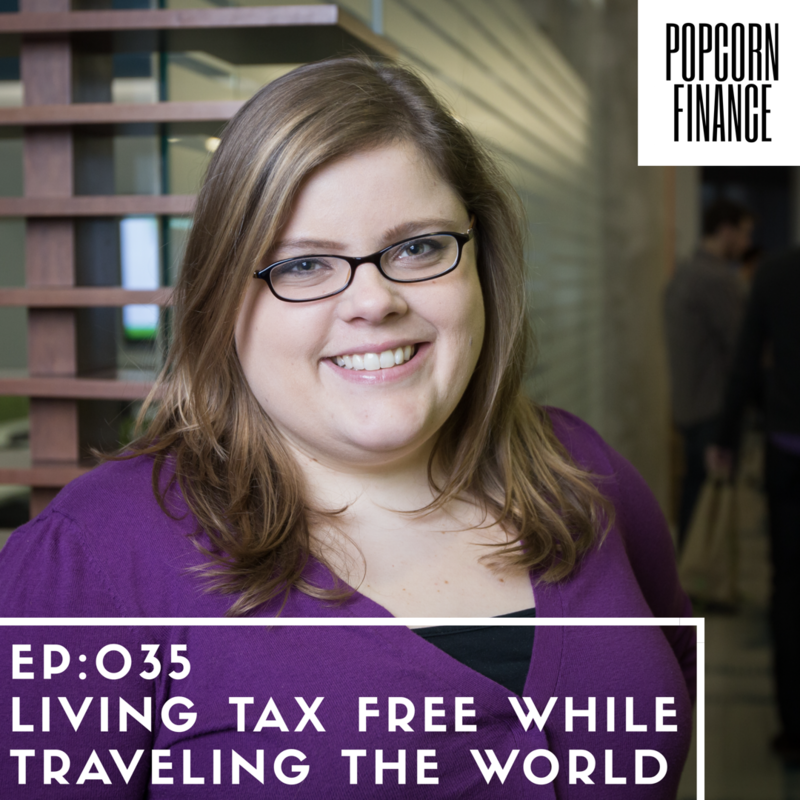 In this episode Maggie shares how despite not being a risk taker, her lack of fulfillment in her day job led her to step outside of her comfort zone & try something new. This a great example of how a side hustle can help you find your true passion. Come check out some Free Popcorn Finance Tools & Resources! Pete from DoYouEvenBlog.com has put together a complete guide on how to monetize your blog. Click Here to learn more! Chris: 00:00 Hey this is Chris, hope you’re doing well, and welcome to Popcorn Finance where we discuss finance in about the time it takes to make a bag of popcorn. Thanks for coming back and joining me for another episode. And today I’m joined by Maggie Germano from MaggieGermano.Com. How’s it going? Maggie: 00:13 I’m good. How are you? Chris: 00:15 I’m doing really good. You know, it’s a Friday. I think just before this we were talking about how. I can’t remember what day it is. I, I think it’s Friday, I hope is. Chris: 00:24 Well, thanks for coming here on, on this Friday morning. This month. 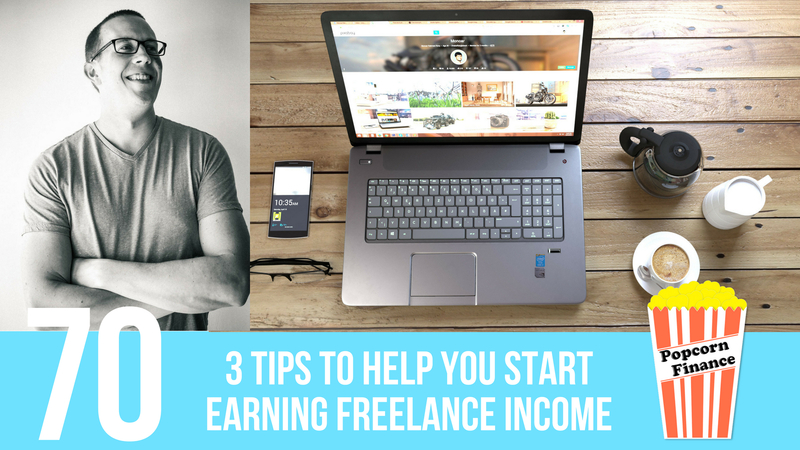 I’ve been talking all about side hustles and so, um, I think it’s a great way to bring in some extra income, but there are times where it becomes more and it can definitely grow and become a full-time business for you. And um, I wanted to bring you on specifically because this is what you’ve done, which I think is really cool. And for those of you who don’t know, Maggie Germano, she’s a financial coach for, for women specifically. And I think just recently, you’ve, you’ve turned this into your full time thing, right? Maggie: 00:52 Yeah. So I quit my full time job in December and so starting January first, I am a full time entrepreneur. Chris: 01:01 That is really cool. That’s something I hope to one day achieve because it, it’s a great accomplishment to make that transition. Chris: 01:16 how did this start as a side hustle for you? Where did, where did this all begin? Maggie: 01:20 Yeah. Um, so I worked in the non-profit sector for about eight years. I live in the DC area, so there’s plenty of nonprofits to choose from and that’s really why I moved down here to get involved in some activism and different issues. And so I was working in that realm for a really long time and I realized that I wasn’t getting the fulfillment, that I was looking for out of it anymore. My Day job just wasn’t as demanding or uh, fulfilling as I needed it to be on an emotional and a mental level. And so I was really looking for something else to, um, give me that passion that I was looking for and I feel like it kind of fell in my lap because I started getting involved in some women’s organizations here in the DC area that are focused on women’s leadership, women’s empowerment, professional development. Maggie: 02:15 And as I was doing more and more of that, I was meeting lots of women who are really struggling with their finances, whether it was student debt, credit card debt, shame around their financial issues or just generally not having the information they needed to manage their money properly. 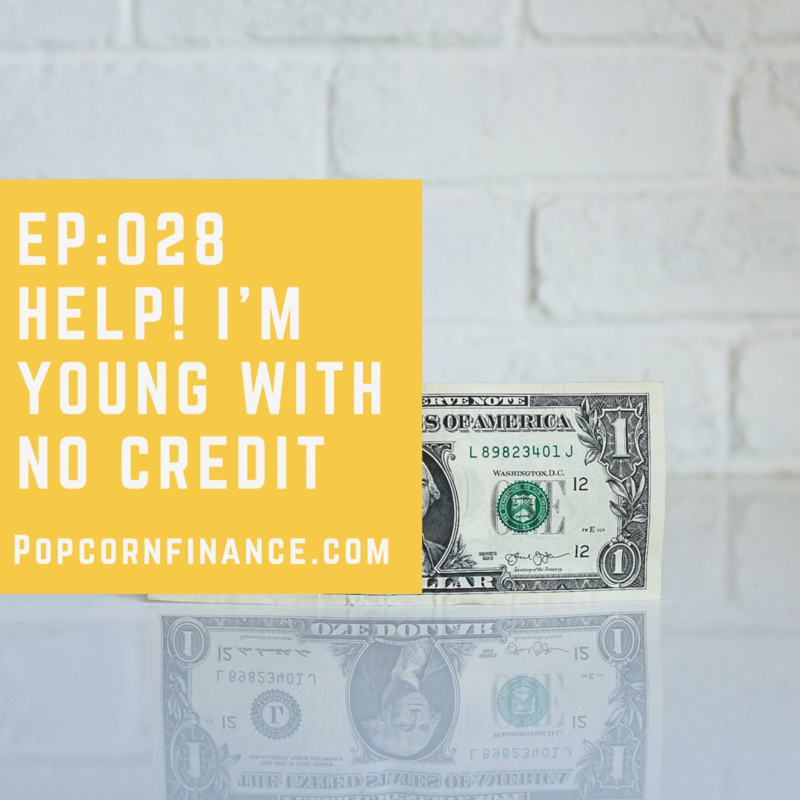 And so as someone who’s always enjoyed personal finance kind of as a hobby, I started offering support here and there like, hey, I’ll help you build a budget or I’ll help you come up with a payment plan for your credit card. And the more I was doing that, the more I realized it was a really needed service for people, especially for women. And it’s not something that people feel very comfortable talking about. So I could serve as a sounding board or as a person to get advice from. And Yeah, the more I did that, the more I realized I was getting a lot out of it and other people were getting a lot out of it and so I decided to start it as a business on the side. Chris: 03:07 It’s really cool because it definitely is, I think something that’s needed. And the crazy thing is I was speaking with someone I met at a conference and this was maybe about six months ago and they told me they went to an all an all girls high school and then I forgot what state they’re in, but she said that they taught them specifically not to worry about money because their husbands would handle that for them. Maggie: 03:07 Uh, that breaks my heart! Chris: 03:31 And she was like 30, so this wasn’t that long ago that they were teaching this to the kids there. And so yeah, I think it’s definitely a need because you think in 2018 now, you know, things like this wouldn’t be an issue, but it really is. Maggie: 03:44 It really is. And actually that is one of the things that made me so passionate about it because I was hearing about women like friends of my mother who would go through a divorce and they would just be financially ruined because they were not working while they were married, so they didn’t have a any kind of control over their finances. They didn’t really know where the money was, they didn’t have any plans for how to bring money in for themselves after the divorce and they really got in a terrible position and those sorts of things are just, that’s just terrifying to me and it really can put women in a really bad situation and I want to help women get to a place where they, they’re more empowered around their finances and can prevent themselves from falling into those kinds of situations. Chris: 04:31 That’s great. And so when, when did you realize that what you’re doing on the side here, it could become like an actual full-time business for you? Maggie: 04:41 Well, I knew that I wanted to leave my day job. I hadn’t been happy there for awhile. And initially I was looking for other day jobs to get and then keep my side hustle, but the side hustle was really what was getting the, It was giving me energy and excitement and I was feeling very fulfilled and I could see the strides that my clients were taking in their own lives after working with me. And I realized like, no, I really want to see what I can do with this and is this something I can devote all my energy to? And by the end of the fall last year I was getting really burnt out trying to do both and also just the other life things that come at you that are not related to work. And so I realized like something’s got to give. And I decided that it had to be my day job because I didn’t want to be there anymore. And I should also say I’m very lucky to be in a position where I could do that. I, you know, my side hustle was not making enough to support me fully when I did leave my job. But because I’ve built up savings and I have a partner who brings in a good income and I felt safe enough to be able to make that decision. So I think it’s important to make that distinction as well. Chris: 05:58 Thanks for sharing that because I think there’s many different circumstances under which you know, someone’s working a like or having the side hustle or side business and what events kind of come together to allow them to make that transition over to making this a full time income. Like whether, like you said, you know, saving or having the support of a spouse or a partner kind of help can help you in that transition. But it sounds like you did have a plan and you kind of thought it through, you know, what you needed to do to make that transition over. Maggie: 06:26 Oh yeah, definitely. I’m not a big risk taker in most of my life and I’m so making that decision to leave this very stable job where I was getting promoted and I had amazing benefits. It just, it’s on one hand it seems like the craziest thing I could do leaving that job, but on the other hand it seemed a little crazy to stay at that job because I knew that I had been unhappy for awhile and I needed to pursue something else and really see if that was something I could make work and you know, the worst case scenario I go get another job again. But you know, hopefully that won’t happen. But I know that there is that safety net there. Chris: 07:04 No, that’s true. I think sometimes you know, people don’t realize if you take the leap and go out there and you know, if it doesn’t work out, that doesn’t mean you can’t return back to your day job, your nine to five that you did before. And for sure you know, finding something that you’re more passionate about because I definitely understand the whole 9 to 5 burnout too, because you it can==== take a toll on you. Maggie: 07:25 It really can. Um, I feel like in our society, there is that idea that like you, you just have to stick with it because it’s the responsible thing to do and that’s the career you chose and you can’t just like make a career change in the middle of your life. But, and I, I definitely thought that for a long time, but then I started seeing other people making big changes and I realized like I don’t have to stay in this one area of work if it’s not making me happy and so I might as well just follow where the passion is taking me and see what happens. Chris: 08:00 I appreciate you sharing that to. Before we wrap up here, do you have like one tip or maybe a couple of small things that you can think of that would help someone who’s considering transitioning from taking what they’re doing on the side and making it their full time job? Maggie: 08:17 Yeah. I think one of the best things that I did was to save all of the money that I was making from my side hustle and not spend it because I had that day job salary that was supporting me fully. I could just hoard all the money I was making from my side hustle and put it either in investment into the business like certifications or other things like that or just put into a savings account for the business. So once I quit my day job and I knew I wasn’t gonna, have that big amount of money that I could just save for my business. I do already have that buffer for like conferences or other expenses that come up for my business. I know that I have a pretty decent buffer there so that I don’t have to worry about those business expenses along with all the other concerns and worries that come up around a business. So I think building up that buffer both for your personal expenses and for your business expenses is important. It’ll just make it so that you’re so much less stressed out when you’re getting started. Chris: 09:19 That’s a great tip there for sure. Having that buffer, it takes a lot of the stress and pressure off for sure. For sure. Thank you so much for joining me and sharing your story. I think is gonna be really helpful to a lot of people to hear how you’ve successfully done this. You’ve made this transition and so before we go, would you like to share anything that’s going on with you with your business? Ways we can get in contact with you? Maggie: 09:39 Sure. Yeah. So my website is MaggieGermano.com and there you can sign up for my weekly newsletter which is called money Monday and uh, you can also learn more about my coaching services on that website and my blog is there as well. And on twitter and instagram I’m there @MaggieGermano and on Facebook I’m Maggie Germano coaching. And then I also have a money circle group that meets in person every month in the DC area, but I also have a facebook group called money circle and that is a space for women to come together to share stories or ask advice and look for resources. And so if you sign up for my newsletter, you’ll always see what I’m up to. You’ll get my, uh, different events that I have and things like that. So that’ll get you all you need. Chris: 10:27 I think that’s really cool. I’ve seen some pictures you posted on instagram from the groups and it looks like you’re doing a really good job and it seems like you’re all having a really good time while you’re doing it too. Maggie: 10:35 Yeah, it’s a lot of fun. I really, it’s one of my favorite parts of my business. Chris: 10:39 So Maggie, thanks again. Appreciate you being here and I definitely hope to connect with you again in the future. Maggie: 10:43 Great. Thank you so much for having me.